Is Naples Florida a Good Place to Live, Is Naples Safe? Is Naples, FL a Good Place to Live? As a Naples native, one of the most frequent questions I’m asked is, “Is Naples, Florida a good place to live?” You may be thinking, “Is Naples safe?, “What’s the weather like in summer?” or “Would I be happy living in Naples?” Those are just some of the many questions that may be on your mind if you are thinking of moving to Naples as a second home, vacation home, for retirement or permanently with your family. When considering living in Naples you may be wavering between the Gulf Coast and the East Coast of Florida. You might wonder, “what is it that sets Naples apart from other cities in Florida?” Soon, the differences become crystal clear. The benefits of living in Naples over other Florida areas are tremendous in most every way. 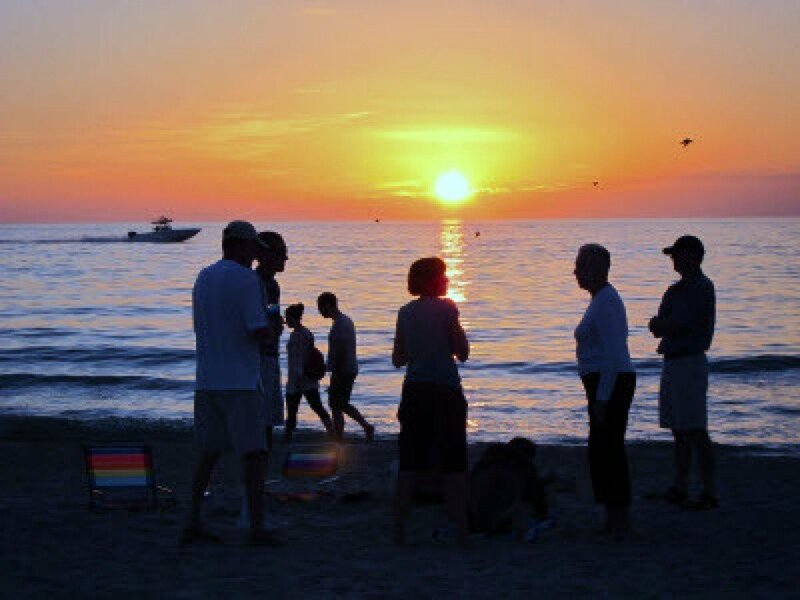 Without further ado, here’s the top ten reasons why Naples, Florida is hands-down the best place to live in 2019. 10. Best Beach Town! 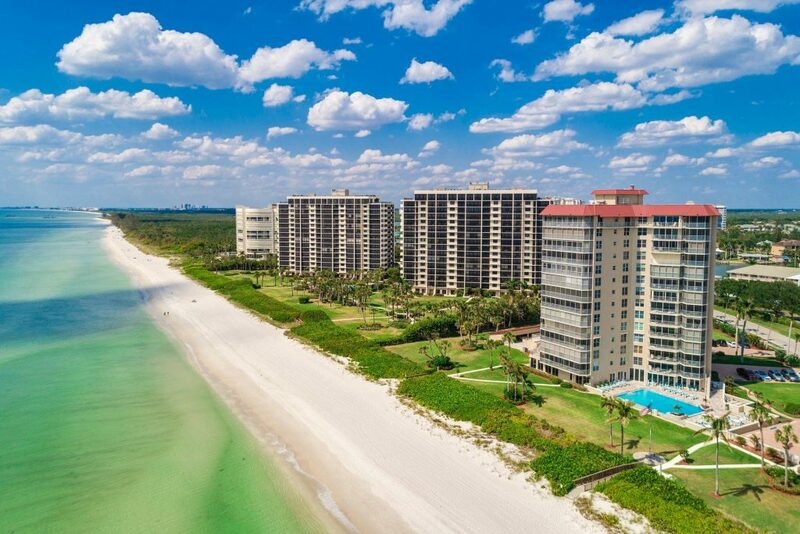 –Naples, Florida is knows for it’s beautiful white sandy beaches. Named the Best Beach Town by WalletHub as compared to 227 other cities in the United States. Naples has some of the cleanest sand and Gulf waters that you will ever experience. There are 17 miles of beaches in Collier County. The Naples beachfront is rated with the best in the world. They often make top 10 lists of the best beaches across the globe. From Delnor Wigging State Park at the North end of Vanderbilt Beach to Seagate and the Naples Pier, our beaches are some of the best in the world. 8. Neapolitan Architecture – Unobstructed views of the beach and Gulf of Mexico are a Naples hallmark. Homes in Old Naples are not surrounded by tall, overbearing buildings that block the sun and skyline. City leaders have gone to great lengths to keep your focus on the Neapolitan architecture and natural, tropical greenery of Naples. Local government has placed strong restrictions on signs, billboards and building height in the city of Naples. A prime example of our strict sign regulations is the “golden arches” on US 41 North. Instead of the usual 30 foot high signs that you see in most cities, Naples has a small McDonald’s sign down on the ground. You won’t see that most places in the United States or even internationally. 7. Dining – Naples has some of the best dining in the U.S. Some favorite Naples restaurants are Cooper’s Hawk Winery & Restaurant Osteria Tulia, The Grill at the Ritz Carlton, Truluck’s, Rocco’s Tacos & Tequila Bar and The Turtle Club right on Vanderbilt Beach (park your toes in the sand while you dine! ), just to name a few. 6. Pristine – The word, pristine, comes up often when explaining Naples to an outsider. In another word, clean. It best describes the litter-less streets, low crime, small signs, clean beaches, expertly shaped landscaping and conscious efforts of residents to keep it that way. Neapolitans respect their piece of paradise and work hard to ensure its beauty. 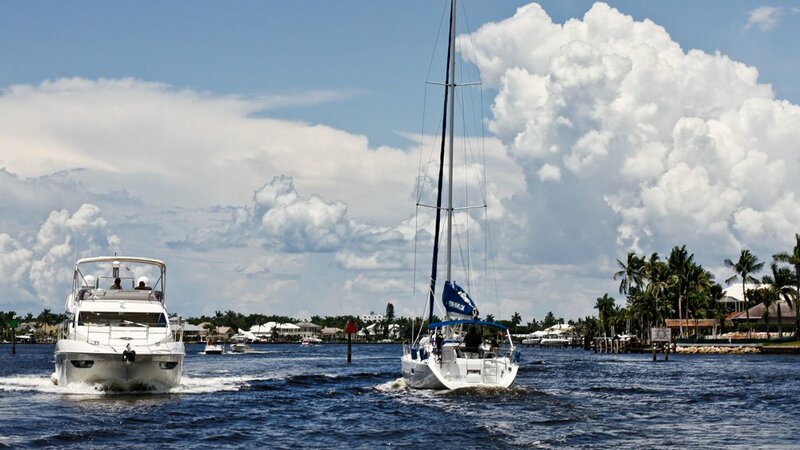 5.Boating, Fishing, Golf – Naples has a plethora of things to do in the great outdoors. Fishing and golf are not hobbies here, they are ways of life. Naples has some of the best waterfront in the world. Growing up in Naples, we fished late into the night at lighted docks and the Naples Fishing Pier. We caught snook and snapper right off the dock and ate them soon after — now that’s fresh seafood! And then there is the golf. As a top golfing destination, Naples has over 70 golf courses to choose from. Many homebuyers want to live in Naples golf communities regardless of their level or desire of play. Many of the higher-end luxury homes are in golf communities like Talis Park, Mediterra, Grey Oaks, Collier’s Reserve and Quail West. There’s something about being able to drive your golf cart from your garage right to the first tee without getting in the car. 3. Weather – Naples weather has average air temperatures of 77 degrees Fahrenheit. The hottest summer months are July, August and September. The best weather months are November through May where there is little rain and less humidity. Gulf water temperatures range from the 60’s in the winter to the mid 80’s from spring through fall. Olde Naples is the cultural essence of the city. It’s where Naples began as a tiny fishing village back in the 1900’s. Among the new estate homes and updated buildings, several historic beach cottages still remain. These old fishing cottages add to the cultural charm of downtown and stand as timeless reminders of the early history of Naples. Today, Third Street South and Fifth Avenue South districts define the modern Neapolitan lifestyle. Specialty shops and outdoor cafes dot the sidewalks in this quaint, yet sophisticated local hot spot. Strolling down 5th or 3rd, you’ll find plenty of dining, dancing and a bit of nightlife. And don’t be surprised to find live music and art festivals taking over the downtown area on many weekends throughout the year. 1. Happy People – Neapolitans come from all around the world – mid-westerners, New Englanders, Canadians, Europeans and everything in-between. Naples is a global melting pot with one common denominator: happiness shows on the suntanned faces of most everyone you’ll meet. It’s easy to see why Naples, FL residents’ sense of well-being ranked #1 for the fourth year in a row, according to the latest 2019 Gallup National Health Index. Naples was once again voted the happiest and healthiest city in the US. “Residents have the lowest levels of stress in the country and eat healthy on a daily basis,” according to the report. All this well-being shows up in the demeanor and attitudes of people all around town. Everyone is happy and grateful to live in this little piece of paradise. Once you’ve experienced it for yourself, I’m sure you will agree that Naples, Florida may be one of the best places to live and enjoy life you could ever find. You may even decide to buy your own piece of paradise and become a neighbor and fellow Neapolitan. If you’d like to explore real estate & homes for sale in Naples, Florida, please feel free to browse our MLS Listings.